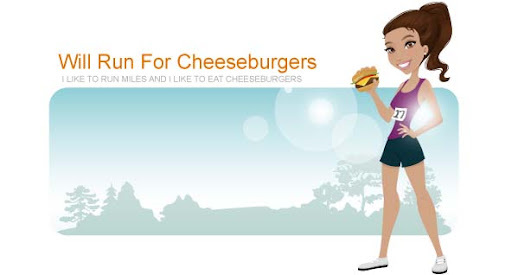 Will Run for Cheeseburgers: she said it's a personal record! I'm not entirely sure when this happened but am super stoked that I hit a sub 7 minute mile at some point during my run. It's crazy to me how much faster I run when I'm outdoors versus when I'm on a treadmill. And don't get me wrong, this new neighborhood of ours is full of not fun hills. Today's run, although super hot and sweaty, totally gets me in the running spirit. Let's try for 3 miles around the ole hood next time.